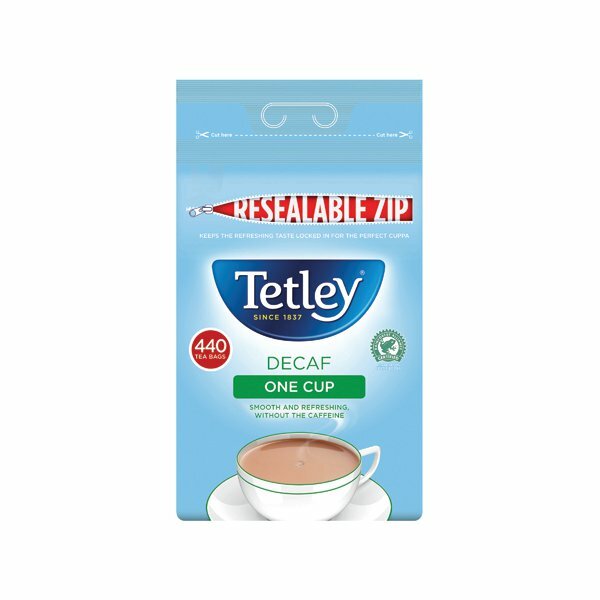 For the taste of freshly brewed tea without the caffeine, use Tetley Decaffeinated One Cup Tea Bags. Specially designed for all round flavour, these bags limit waste and guarantee taste. With a unique blend of Assam, African and Ceylon leaves, you can rest assured you'll get a great cuppa brew after brew. 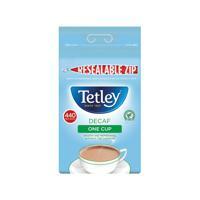 Packed in resealable catering bags, which keep your tea in tip-top condition, you know you can rely on Tetley.